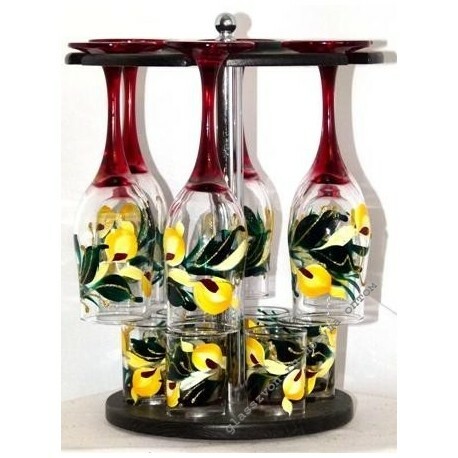 The Kalla set is made of transparent glass, but decorated with an effective art painting: beautiful flowers. 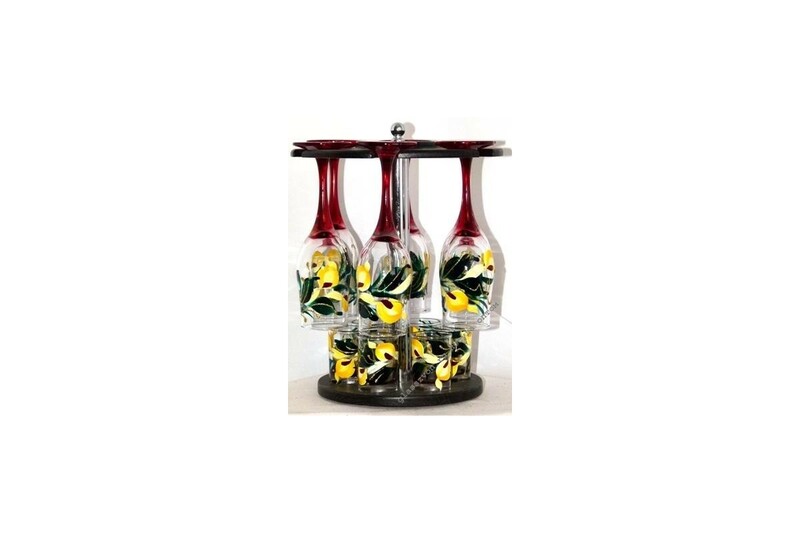 The legs of the glasses are painted in a deep "wine" red color, which will harmonize with the shade of the stuffed drink. Such a set will appeal not only to private buyers, but to representatives of public institutions: restaurants or cafes. Glasses are quite practical, because they are made of durable glass. Also we have a lot of other glassware at an affordable price. Therefore, with us you do not have to leave applications from several suppliers, the entire order can be issued in our store. We will deliver your purchase to any region in a short time. Here you can buy transparent glass and dishes, which decorates the painting, in bulk from the manufacturer.